After the stifling heat and the bright colours of the mid-summer months, it’s time to embrace the ‘Indian Summer’ colour trend. Acting as a halfway-point between the lively colours of summer and the more muted tones we traditionally associate with the autumn months, these rich matt shades are the perfect way to incorporate colour into your home. Many of these colours are popular all year round, with Orchid shades still dominating our homes whilst rich oranges set to remain popular well into autumn. Ultimately, it’s about toning down the hot summer palette and welcoming the calmer shades we’ll start to see emerging in autumn and into winter – but all the while still maintaining a broad colour range that’ll help enliven your home. 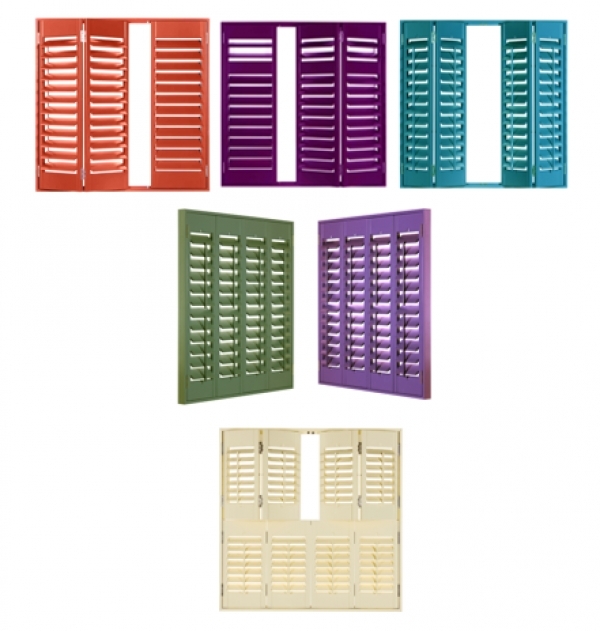 For many, it’s hard to include such colours in the home in a suitably subtle way – yet using Shutterly Fabulous’ unique colour matching service makes this difficult task a piece of cake – shutters are an ideal way of including pops of vibrancy into your home without dominating the entire room, and getting the colour you want is as easy as providing a sample.